Microsoft appears to be lining up South Korea’s third largest mobile manufacturer, Pantech to become its next patent licensee, with both companies in talks over royalty payments for its patents related to Android smartphones. Yonhap News reports that the company is likely to follow rival smartphone vendors Samsung, which Microsoft called its “most important Android patent license to date” and LG, a deal that saw the company confirm that it now covers more than 70% of Android smartphones sold in the U.S.
“We are in talks with Microsoft over the patent use, but specific details have not yet been decided,” a company spokesman said. 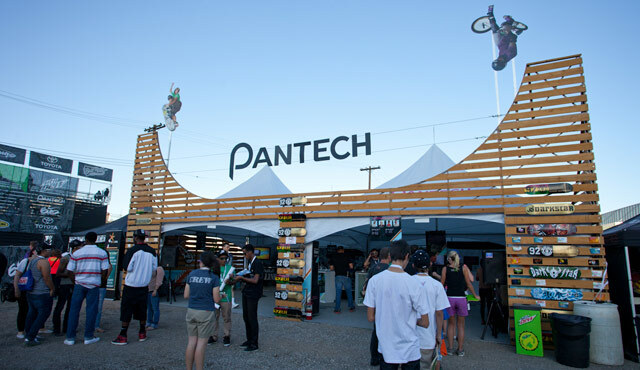 Pantech recently announced its latest LTE-enabled smartphones at CES 2012 in Las Vegas, also unveiling its first tablet device, the Pantech Element, a new 8-inch Android tablet that is able to be completely submerged in water thanks to its waterproof design. With many working the technology industry viewing patent protection as more of a business in itself than a way to assert intellectual property rights against a company or individual mimicking an innovation of their own, Microsoft is of the belief that the patent system is “normal and necessary” despite the fact it can be very ugly. Horacio Gutiérrez, the deputy general counsel, who leads Microsoft’s intellectual property group, believes that without a patent system, companies will not have the drive or incentive to spend millions of dollars and numerous years creating new technologies that become the foundation of hardware and software platforms we see and use today. Microsoft’s patent antics has frustrated rivals Google, with the company stating that the Redmond-based software behemoth has engaged it in a ‘hostile’ patent war. Referencing its success as a smartphone platform developer, Google’s SVP David Drummond posted a blog post noting it had drawn hostile attention from competitors like Microsoft, Apple and Oracle as a result and that the companies have turned to using patents to wage war.